This is a grammar activity forming contractions from base words. It has a holiday theme. 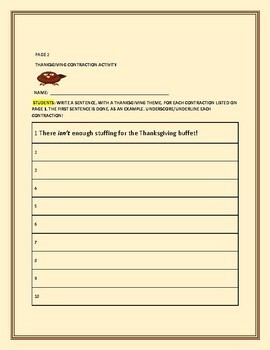 Page 2 requires students to create holiday themed sentences, using the contractions from Page 1. Happy Thanksgiving, America! Thanks ever so much for visiting!